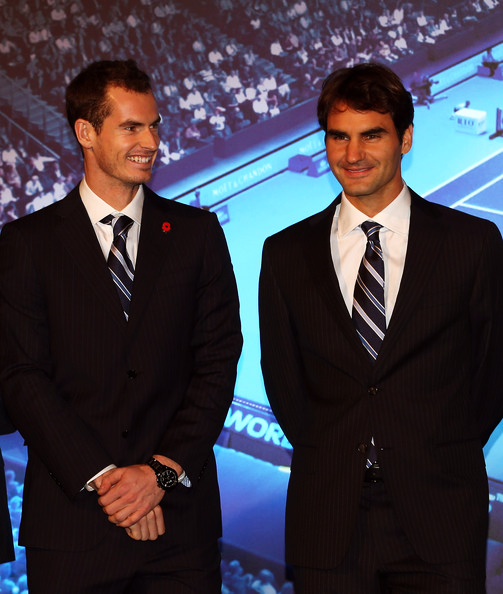 The contenders receive star treatment on the red carpet Saturday as they prepare to enter the 2012 Barclays ATP World Tour Finals Gala at the historic Royal Courts of Justice in London. Go behind the scenes at London's historic Royal Courts Of Justice with ATP World stars at the Barclays ATP World Tour Finals Gala, which benefits the Great Ormond Street Hospital Children's Charity. For every one inquring, Novak Djokovic wears contact lenses during matches, In one of the matches at World Tour Finals in 2010 vs Rafa NADAL, his contact lense mis-behaved a wee bit & couldnt even see the ball properly after 5-5 in the first set. Great pics, they are look so cool in the suit.